The best way to learn what to expect at any conference is to check out the speaker lineup. At TNW2019, our diverse list of exciting speakers attract everyone in tech – marketers, developers, designers, and everything in between. For those in the dark, TNW2019 is our annual technology festival in Amsterdam. 17,500 people come to hear industry-leading speakers, join in-depth workshops and roundtables, and network in our uniquely intimate atmosphere. You should join us on May 9 and 10 – you can still get Earlybird tickets if you hurry! Do you use Google apps like Docs, Forms, and Drive? Jonathan Rochelle (a.k.a. JR) co-founded them all. As the Director of Product Management at Google, JR has accumulated thousands of insights into product design over the last 14 years. His latest projects are GSuite for Education and Jamboard, two innovative ideas that he started from scratch. Don’t miss him speak about product design at TNW2019 – his extensive knowledge on innovation will leave you with key insights that you can apply to your own work. Stephanie’s been on the Silicon Valley scene since 1995. She’s worked for Google, Facebook, and now Strava. Most notably, perhaps, was her groundbreaking role as the first female CTO of a presidential campaign back in 2016. Her unique experiences of leading product teams makes her an inspiring speaker for TNW2019. From working for the most iconic companies to almost putting the first female president in the White House, her story is unmissable. For those striving to break the glass ceiling, Stephanie is a fountain of empowering knowledge. Jemima is well known for her hilarious and sharp commentary on cryptocurrency at the Financial Times. While certainly entertaining, her views also provide a necessary honesty that can sometimes be lacking in the blockchain space. If you’re interested in the industry, she’ll be diving into the triumphs and challenges of blockchain journalism and what she predicts we’ll see over the next few years. Jack is the CDO at Lush and it’s his job to find tech solutions that make their products more sustainable. He founded Lush Digital, where he ensures that technology is at the forefront of an industry that doesn’t traditionally rely on it. Lush Digital has recently integrated tech in really cool ways, including VR to unlock exclusive products and an app that cuts out the need for packaging. He’s also passionate about product invention, thanks to his upbringing. Have you ever used a bath bomb? Jack’s mom invented it in 1989. He’ll be speaking at TNW2019 in more depth about the ways he brings the future of tech to Lush and its digital platforms. If you’re interested in finding innovative ways to make your brand stand out from the crowd, Jack’s keynote is a must-see . Robert is the founder and CEO of MessageBird, which aims to disrupt the telecoms industry by providing a simpler platform for companies to communicate with their customers. Last year, MessageBird secured $60 million in first-round funding – the largest ever for a European software company. A self-titled “serial entrepreneur”, Robert is a big believer in empowering employees, paving new paths, and forging ahead. Having not been an employee since his adolescence, his experiences of leading a company are truly unique. His philosophy and methods clearly work. If you want to replicate his success, make sure to attend his keynote where he’ll dive into the core values that have seen MessageBird soar. These are just some of our first 25 speakers and there’s way more to come. 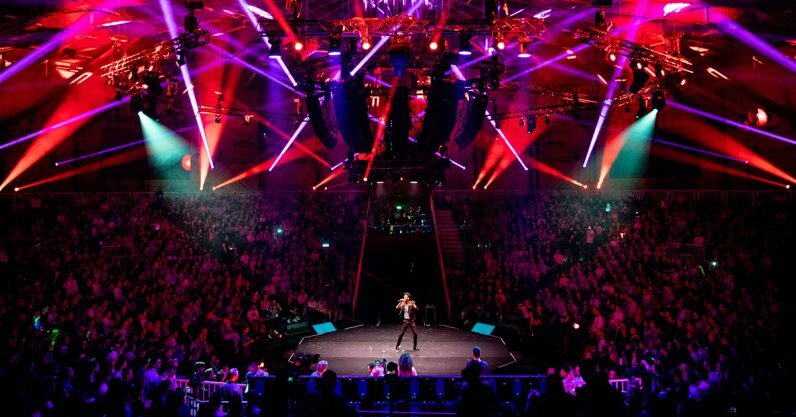 No matter what area of tech you’re in, you can be sure the TNW2019 lineup will provide you with inspiration, actionable learnings, and motivation. If you’d like to attend on May 9 and 10, you can still get Earlybird priced tickets if you hurry!